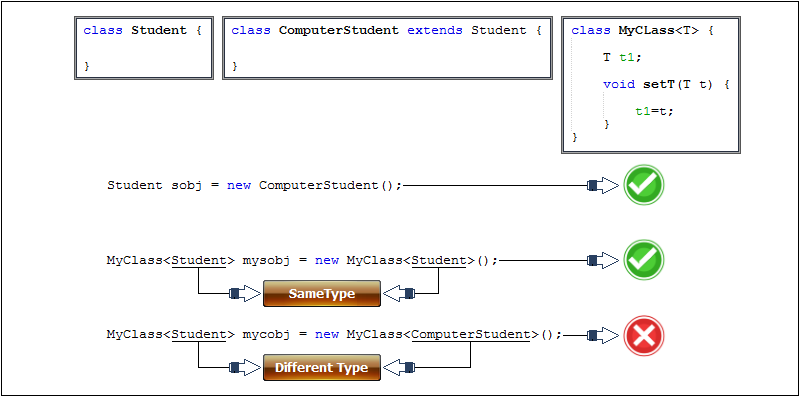 Now mycs and mys refer to the same object. 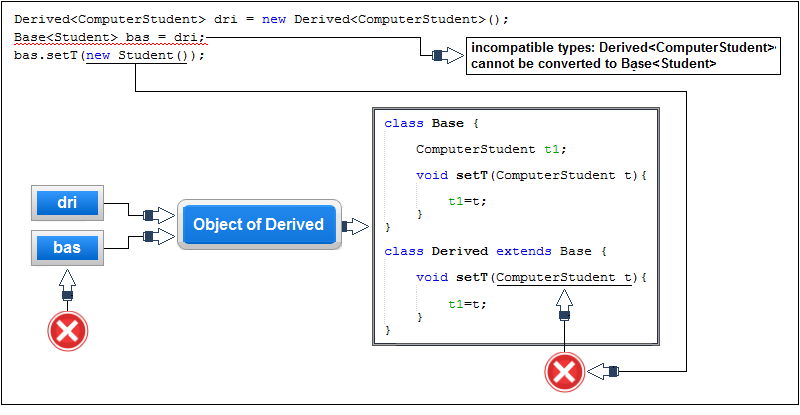 The setT() method of mys try to set the Student object, this can cause error, because Student cannot be converted to ComputerStudent. Now dri and bas refer to the same object. 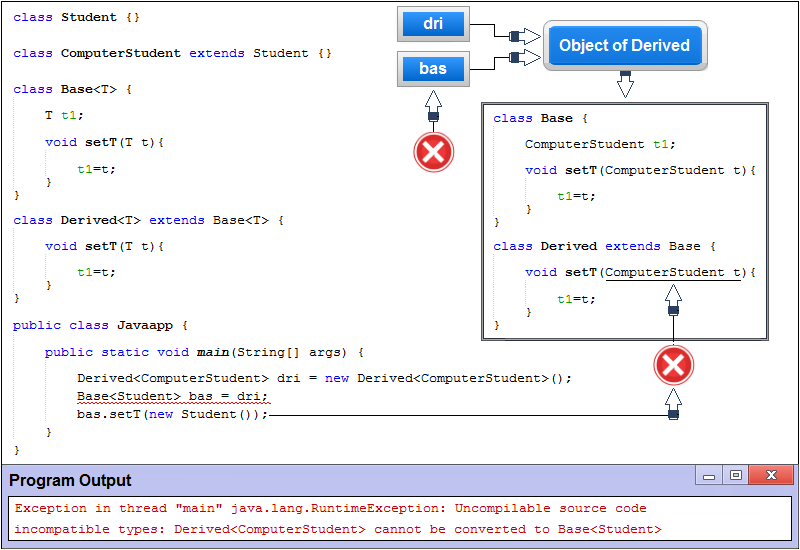 The setT() method of bas try to set the Student object, this can cause error, because Student cannot be converted to ComputerStudent.